Tired of a piece of gold or platinum jewelry? Do you just throw it away? Of course not: that metal’s still valuable, so you’d sell it, trade it, or otherwise try to “extract” that value. As we’ve seen before, when we throw electronic devices in the trash, we’re basically doing the same thing: cell phones, tablets, and other electronics also have precious metals in them that still hold value. It turns out that we’re also discarding these metals, and others, when we flush the toilet: a scientist from the U.S. Geological Survey will argue in a paper at the annual meeting of the American Chemical Society that we should see our sewage treatment plants as mines for metals. More and more, the sludge produced by our sewage systems gets processed, and then gets used as soil amendment… and metals aren’t helpful there. 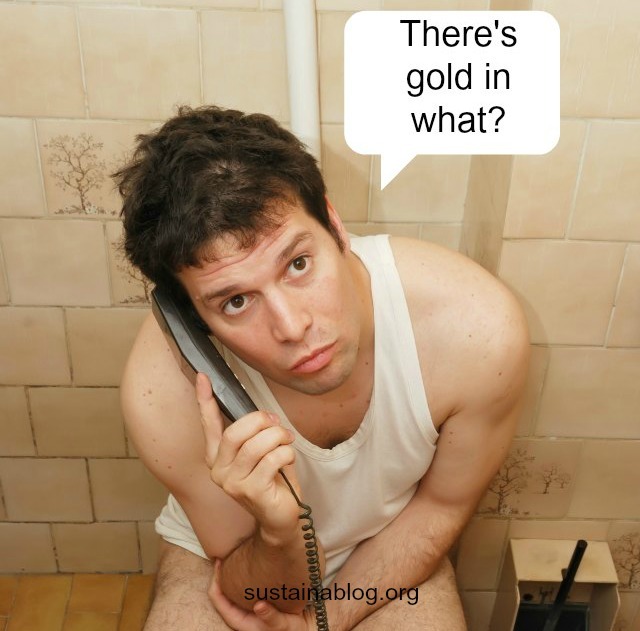 So, figuring out how to extract gold, platinum, copper, and lesser-know materials like vanadium, not only preserves the value they represent, but also makes the biosolids produced by sewage processing more useful and valuable. Recovering this material means less has to be mined, also. There are potential environmental challenges to this process: Smith notes that extracting metals from poop would likely involve leachates, the chemicals currently used to get metals out of rock. As you might imagine, they’re not particularly green compounds, but Smith believes that they could be used safely and responsibly in controlled environments. Next article Are Non-GMO Supplements Coming Soon? Are Non-GMO Supplements Coming Soon?